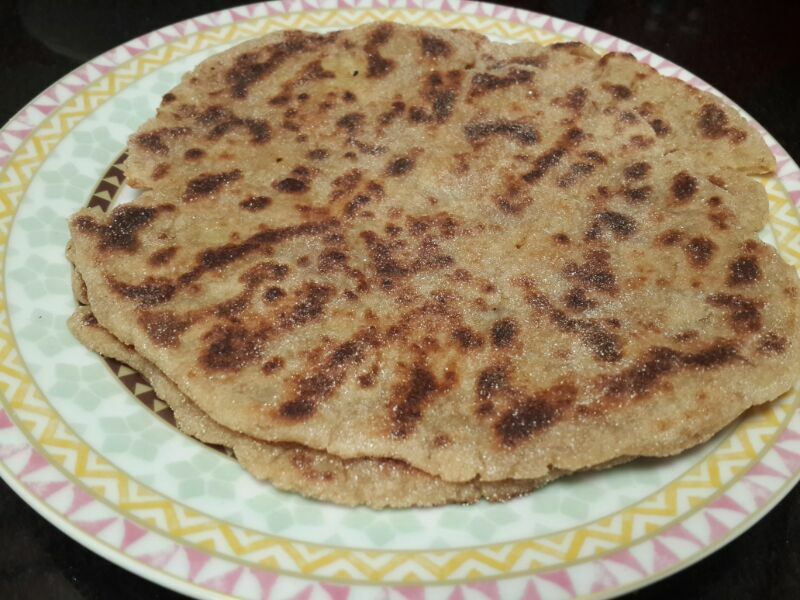 I am sharing the recipe for the very simple to make Rajgira roti / flatbread. It is again recipe which can be had while you are fasting. Rajgira is also known as Amarnath grain flour. In Dubai, the flour is easily available in Al Adil supermarkets. Boil potatoes in salted water. Ensure to use rock salt since it is a fasting recipe. Let the potatoes cool for a while and then just mash them with a fork. Add rajgira flour, peanut powder, coriander powder, green chillies, carrom seeds, cumin powder and mix well. Use some water as need be and bind the dough. It should be a stiff dough. Add oil once the dough is come together and knead for a bit. Let the dough rest for 10-15 mins. 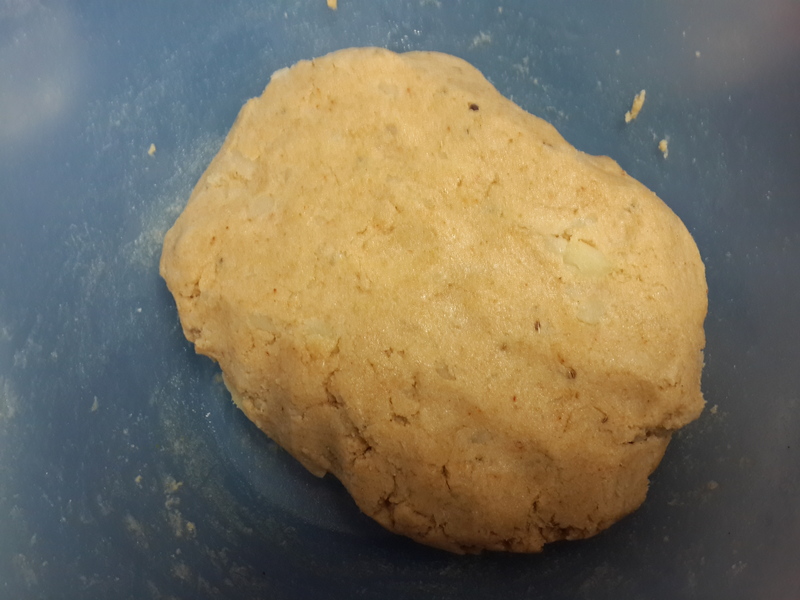 The texture of the dough is too crumbly hence you would not get perfectly round rotis. Make small balls of the dough and flatten it out on a well floured surface. On a hot tawa (Indian griddle) cook the roti on each side on medium heat for a few minutes. You will be required to brush the roti with a little oil so that it does not stick to the tawa. Once the roti has acquired a nice brown even color, take off heat. Serve with Vrat Kadhi or Potato Sabzi. I make it quite plain and am glad to have found your recipe which adds such subtle flavours to the roti.